"During the 1980s, Éric Bordelet was once one of the most influential figures in the Parisian wine scene, as he spent several years at the helm of the wine program at the illustrious Michelin Three Star restaurant of l'Arpège in Paris. However, his native Normandy called him, and he handed over his sommelier duties at l'Arpège and returned to the windswept orchards of Normandy in 1992, desiring to bring his superb palate to bear on the high-powered ciders of the region. Eric Bordelet was greatly encouraged in this endeavor by his close friend and confidante, the late Didier Dagueneau of Pouilly-Fumé, one of the Loire Valley's most talented winemakers and colorful characters. Taking over the nineteen hectare family property of Château de Hauteville, Eric Bordelet planted seven hectares that had been fallow in terraced orchards (that will not be utilized for many years to come), and began the process of bringing his family's orchards into biodynamic practices. Along the way he has risen to prominence as one of the greatest producers of cider in all of Normandy. Like great wine, great cider is a reflection of the underlying terroir of the orchards, the quality and the variety of the fruit trees planted, the yields in the orchard and of course, the age of the trees. The same deep, intricate root systems that deliver unmatched complexity in wines produced from old vines are at play in the orchard as well, with older trees producing better fruit to work with than younger trees. The orchards planted in 1992 upon Éric Bordelet's return to Château de Hauteville are more a gift to his children and grandchildren, as his production today is based entirely on the older orchards planted in his ancestors' time, some of which date back fully two hundred to three hundred years. He makes ciders both from apples and pears, and each is a remarkably sophisticated and refined drinking experience. He has more than thirty "heirloom" varieties of apples and pears planted in his orchards, which contribute to the complexity one finds in his ciders. 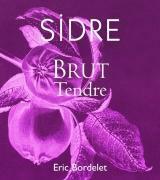 All have a gentle mousse, and though they vary in the amount of perceptible sweetness on the palate, across the board the ciders of Eric Bordelet are defined by their beautiful balance, taught acidities and the complexity that rivals great wines."